Fiore the Springtime Fairy has awoken and is ready to begin her new year. Fiore hides through winter, because cold weather upsets Fiore. She hides from the fairies, from people and society, for the whole winter and all the winter holidays. Fiore is called the 'Springtime Fairy' because when the calendar turns to spring, she comes out to play. Did you know Fiore is Italian for flower? A few weeks before the Easter Holiday, Fiore exits her house and smiles at the wonder of the beautiful new spring and special days. She spends Easter flying through the flowers, playing games and updating her fashion style for the new season. So you have learned why Fiore is named Springtime Fairy - so now play Fiore's very own dressup game and dress up the Springtime Fairy in her Easter fashion and bright spring colors. 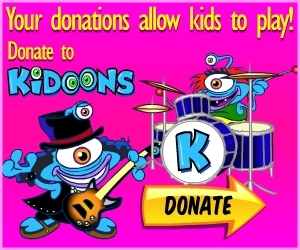 HAPPY EASTER from KIDOONS!